This week’s issue of Champions (Champions # 18) paves the way for the original creative team of Mark Waid and Humberto Ramos and at the same time shakeup the roster a bit. So what happened this week you ask? Here’s a really quick recap. The Champions on the otherhand scramble to find the human Viv Vision, who ran away because of fright for what had happened. 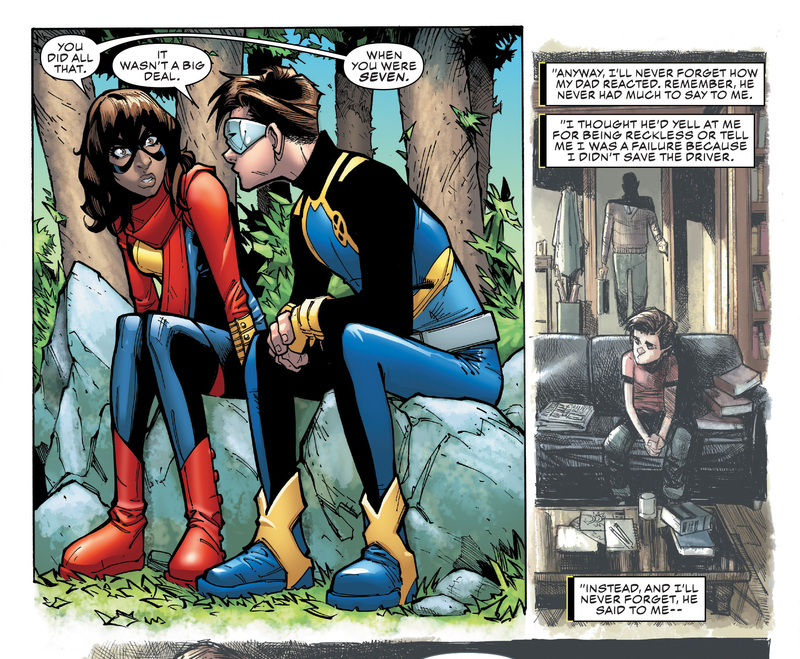 This gives the chance for Cyclops to work with Kamala Khan which he uses to open up and share a bit of himself. 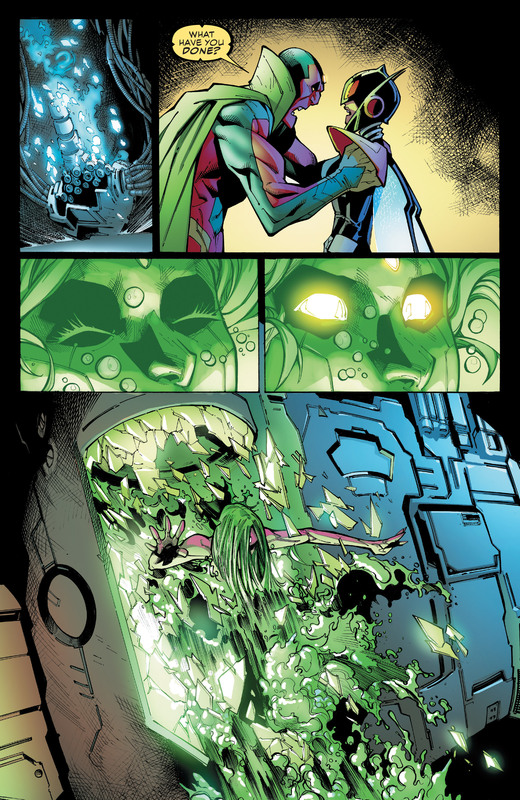 Vision deciphers where to look for his daughter, that’s after unlocking the memories of the damaged synthezoid. They have a brief talk about what had happened and they return back to the Champions. Back with the group, Viv makes a decision that would affect her and at the same time everyone around her. With the help of Nadia Pym aka the Unstoppable Wasp, she manages to get her mind into her “dead” sister. 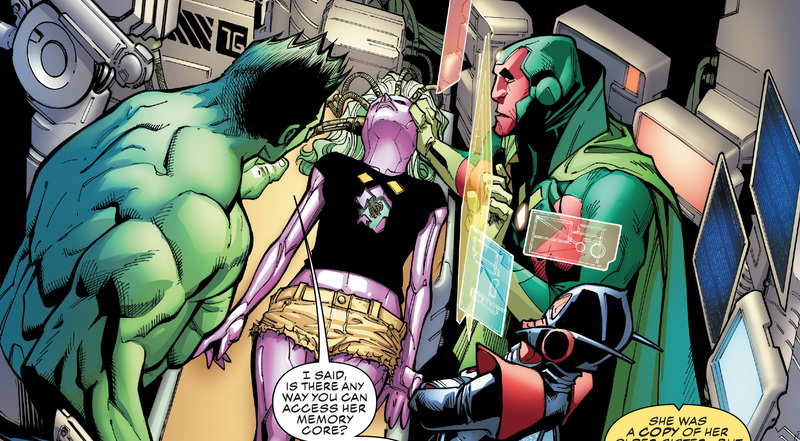 Viv Vision gets a new body that she can use while she’s with the Champions. She ditched her human body and transplanted her consciousness into that of her dead sister. So while it seemed like Champions # 18 would end in a high note, it turns out that it’s also the issue where original member Cyclops says goodbye to the team. He says goodbye to Kamala only to take a more active duty with the X-Men where he is also a key member. 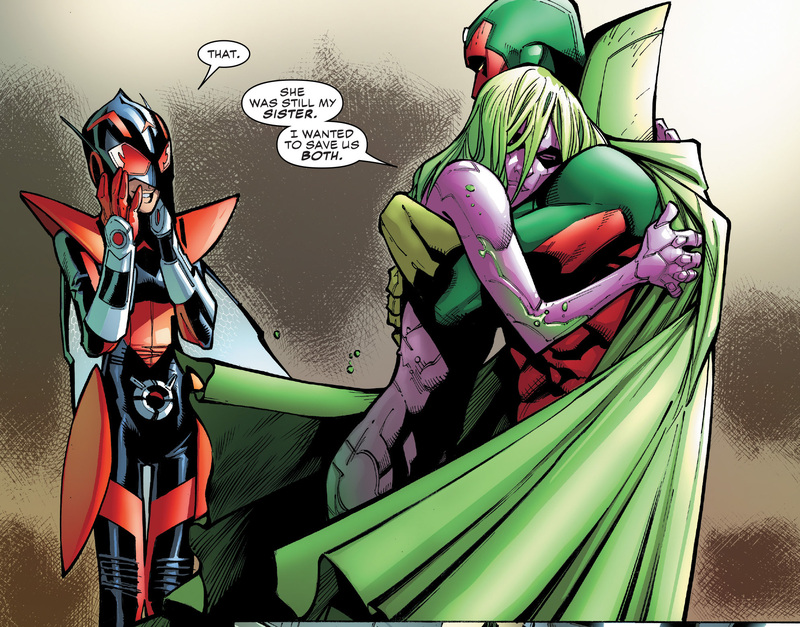 And with that, Champions # 18 marks the last run for the creative team of Mark Waid and Humberto Ramos. The team gains a lot of new characters but prominently features two new additions, the Wasp (Nadia Pym) and Ironheart (Riri Wiliams).